In three weeks some of the most talented pastry chefs, with businesses located within the United States and Canada, will participate in the Valrhona C3 North American Finals, which will take place on October 23 on the main stage of the 12th Annual StarChefs International Chefs Congress at the Brooklyn Expo Center. 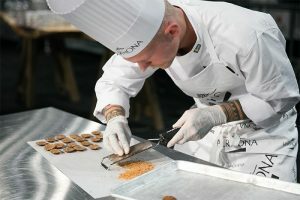 A selection committee, made up of representatives of l’École Valrhona and StarChefs, has chosen, after an arduous selection process, six competitors and three alternates. 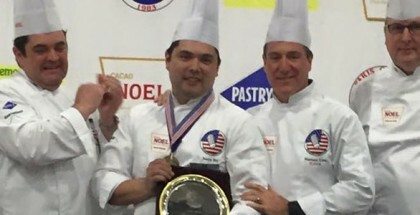 Candidates will have to produce a plated dessert based on Valrhona’s “Oriado 60% (Peru and the Dominican Republic)” and a petit four based on the chocolate “Waina 35%.” They will be evaluated by a prestigious jury formed by Pierre Hermé, Ghaya Oliveira, and Johnny Iuzzini, among others, who will value the originality of the recipe, flavor, association of flavors, texture, aesthetics, and incorporation of competition theme. The winner will not only be awarded 4,000 € and an exclusive Valrhona trophy, but will also have the opportunity to represent North America during the C3 2018 International Finale. 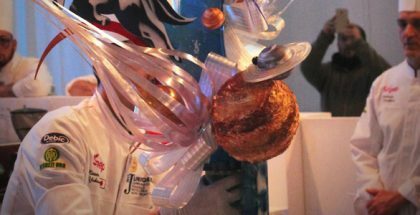 The winner of the second prize and the press jury will receive 1,000 Euros.